I have a strong interest in delivering visual arts training and mentoring to both adults and young people. This is backed by my work outside of my art practice, where I have been working in adult education and training for over 7 years. I have also undertaken residencies at several schools. This has included working with the art teachers and students to develop artworks. 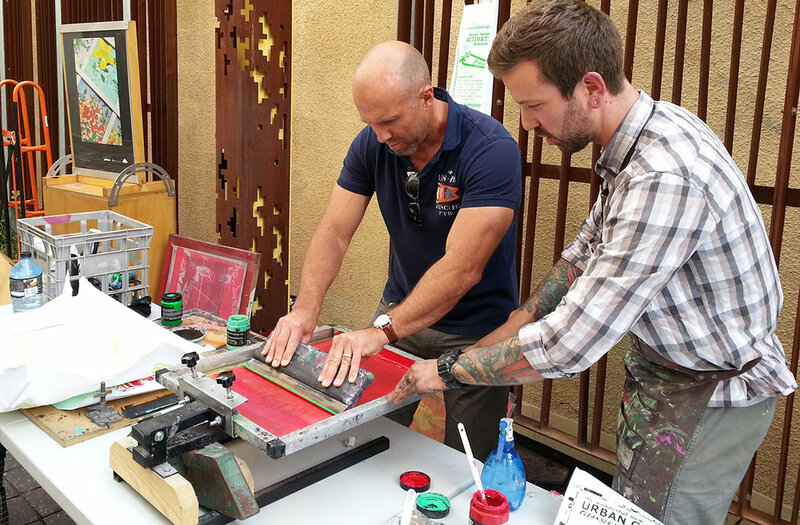 I have also delivered printmaking and visual arts workshops in a variety of capacities and contexts. mentoring a local young artist as part of a public art project for Coorong District Council in 2018.
working with non-profit education organisation, Youth Inc., Adelaide to deliver visual arts training to young people in their alternative learning environment. undertaking the Francis Street artist-in-residence program for the Adelaide City Library in 2016.
being selected as the mentor in 2015 for Guildhouse’s Limber Up Mentorship program. If you are interested in any of these services, or would like to have a chat about what I can offer you, please get in touch. "We had a great experience working with Josh as an artist in residency at St Peters Woodlands in 2016. His 2 week program was well structured and aimed well at the Year 6 class. The students enjoyed learning about printmaking and were excited to have an original piece to keep afterwards." Amelia, St Peters Woodlands Primary School. "Josh worked with our council to give one of our community trailers a much needed facelift. He communicated with us every step along the way and provided mentoring to a local young artist in the process. The fact that we are in a rural/remote area didn't stop Josh from delivering as promised!"